With Sumner ending and Fall just around the corner, it’s time to think about planning some Autumn adventures! 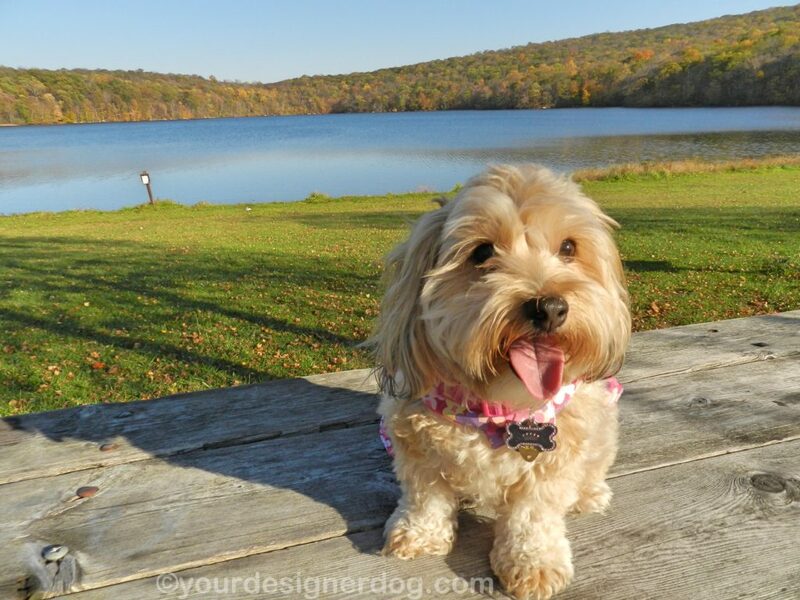 Fall is a wonderful time of year for outdoor activities with your dog. Even Goldilocks would approve of Fall weather – not too hot, not too cold, it’s usually just right! And who doesn’t love the beautiful scenery when the leaves begin changing colors? 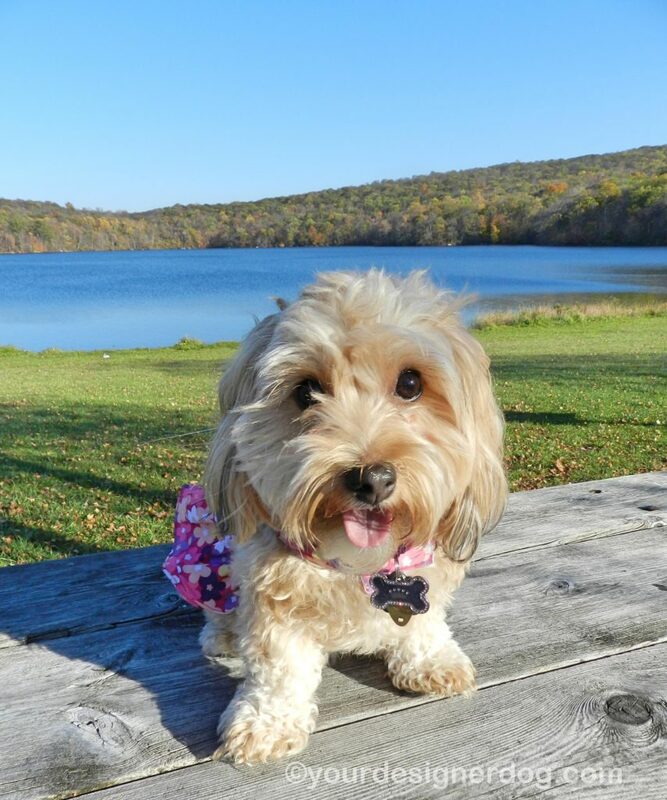 Last year Sadie and I had one particularly enjoyable Fall adventure to a local lake. We didn’t swim or anything, but we still had a great walk exploring some new and beautiful scenery. I’ve always got a running list of places for Sadie and I to explore when we’ve got the time and the weather cooperates. And a little extra cash can always help to make an adventure more fun. 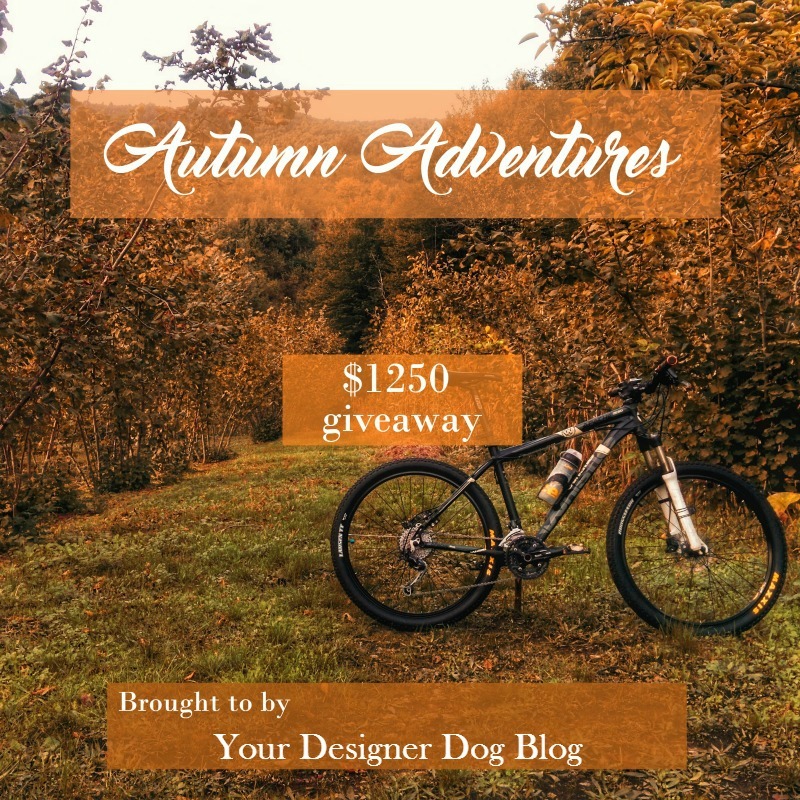 So to help three lucky winners have an awesome Autumn adventure, we are co-hosting a giveaway with $1250 in prizes! Two first place winners will receive $500 in PayPal cash or Amazon gift cards and one second place winner will get $250! Open worldwide, 18 and older. Winners chosen at random on 10/15/16. Use the entry form below to find many ways to enter and win! Good luck to all! 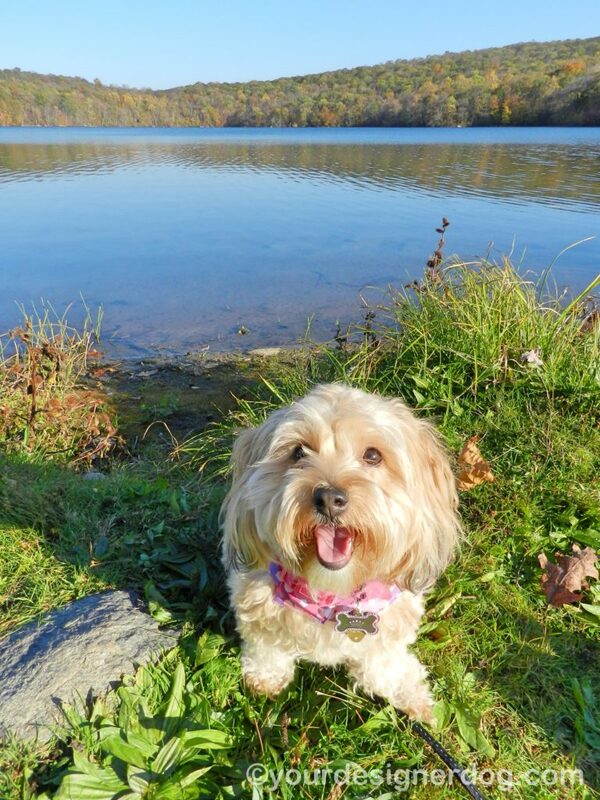 What kind of adventures do you hope to have with your dogs this Fall? I would use it to take my family to see the Christmas lights in Branson. I would go to Letchworth State Park because it’s beautiful with all of the autumn colors, and I would take many pictures!! I would love to go apple picking with Dakota! I would love to take one last beach trip before it starts getting too cold. I want to take my son to Lego land. I’m disabled so we are on a very limited budget. I would love to do this for him. I would love to take my daughter to the beach, I’ve never been to one either so I think it would be a great trip for us. I would go see the northern lights. The gender tech bio diversity one. Hi, leaving my comment for an entry 🙂 We have a Sadie in our family too…only she is a golden retriever! I would like to go to Michigan and see my parents, hopefully around Christmas time. i would go on an adventure with my 3 gals to a pet resort where people and dogs can enjoy the great outdoors, activities, spas together. i have read abt places that have spas and camps for people with their dogs. i would love to go to one of these. I would spend a weekend away in Niagara Falls.